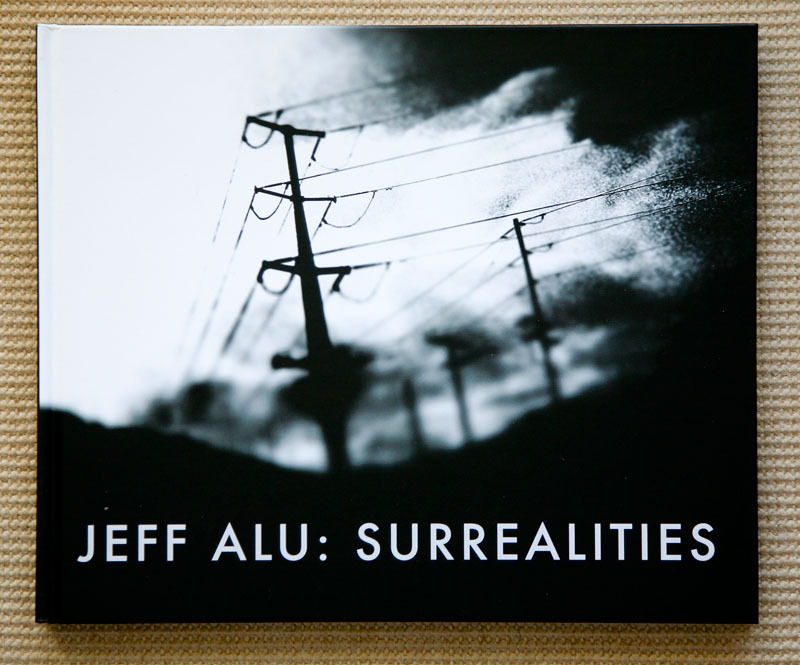 Jeff Alu’s book title Surrealities aptly implies that he is attempting to investigate aspects of surrealism, in which the art work may have qualities that feature the element of surprise, unexpected juxtapositions and non sequitur. Surrealism also looked to the analysis of dreams as a source of inspiration and the resulting surrealist art and literature usually had dream-like qualities. It is a combination of all of these attributes of surrealism that infuses Alu’s photographs. His subjects have been rendered in black & while, with aspects of his subjects vaguely recognizable, but rendered abstract in his photographic image post visualization process. This book is essentially a monograph, a collection of singular images. The surrealistic theme collectively ties the resulting photographs together. Each photograph is an investigation of equivalent feelings and emotion, similar in purpose as his accompanying poems. This photobook has many shared qualities with Susan Burnstine’s Within Shadows. Similar to Burnstine, Alu’s photographs are very dark and moody. The photographs are not directly captioned, which provides a lot of latitude for the reader to investigate where the photograph make take them. Alu does provide an index of photograph and captions, but includes page numbers for a book that is without pagination, perhaps a touch of surrealistic humor. As a photobook object, this hardcover book does need to be handled with care. The interfacing glossy black printed pages, although reinforce the darkness of the narrative, are also fingerprint magnets, as only a little natural oil in your fingertips leave beautiful and lasting marks on the page. Regretfully a book that would benefit from reading while wearing gloves. The photographs and poetry text are by Jeff Alu and the introductory essay is provided by Joella March. Last, I note that the printed photographs have are slightly green toned, which provides an eerie effect, perhaps as though Alu is taking us on a trip into the Twilight Zone.